Welcome to the September 2014 Biblical Studies Blog Carnival! September means one thing in Texas: football season is back! And of course, I’m speaking of American football – both college and NFL teams are now on the field once again. I know that many of our biblical studies bloggers are more inclined towards the internationally recognized form of “football” (what we down here in Texas call “soccer”), so please accept my apologies for picking such a culturally-biased theme. You might enjoy the video below of a confused “football” coach attempting to coach a “soccer” team. However, just because a post might not be in one of the above conferences it still might have merited a place in the Wild Card Race (Miscellaneous Posts). There were a ton of great blog posts this month. Thanks to all who contributed – happy reading! James Pate at James’ Ramblings asks the question from 1 Chronicles 27 that has been on everyone’s mind: Could priests (like Benaiah son of Jehoida – one of David’s mighty men) fight in war without violating purity laws? Brian Collins at Exegesis and Theology investigates the importance of “land” in Genesis 10. Rusty Obsorne at Law, Prophets & Writings lists Five Important Texts for Thinking About the Old Testament Canon. Paul Wallace makes an interesting link between Creationism and Gay Marriage. – He comments on Jesus and the end of exile. Bill Heroman asks: “Did Jesus Bring the Twelve with him to Nazareth? Larry Hurtado recommends an article by James Ware (concerning 1 Corinthians 15:3-5) in his post “Paul on Jesus’ Resurrection: A New Study” and also writes about the book of Acts: Part 1 | Part 2. Scot McKnight at Jesus Creed writes about “That Elect Lady” in 2 John. Ron Frost at Cordeo explores the role of the Holy Spirit in Romans. Jacob Cerone writes on “Jesus the Insurrectionist” in Luke 23. – “The Case of the Severed Ear” from Mark 14 and parallels. Fred Clark at Slacktivist narrates that “The White Evangelical Tribe is Itself Post-Evangelical”: Part 1 | Part 2. Here at Cataclysmic, I explore how Jesus interpreted divine violence in the OT. While you’re reading the above, don’t forget to check out Peter Enns’ 17th installment of his “Aha” Moments: Biblical Scholars Tell Their Stories series: Michael Halcomb. Speaking of God’s Not Dead, J.W. Wartick also reviews it here. Daniel B. Wallace comments on the larger problem behind Joel Osteen and Christian Narcissism. Rod at Political Jesus writes on “Quitting the Progressive Christian Internet: Weeds Along the Moral High Ground”: Part 1 | Part 2. – Part 2 – What Else Do You Expect From Those College Religion Professors? Peter Leithart blogs about everyone’s favorite topic: Eschatological Ontology. Seumas Macdonald at Compliant Subversity gives three examples to illustrate the truth that when one begins to study “advanced Greek grammar” – Nothing Is As It Seems” while also finishing his six part series of interviews with Communicative Greek teachers. Josh Graves writes on “Reading the Bible and the Bible Reading You” at Jesus Creed. Fred Butler at Hip and Thigh reviews Adam Tucker’s Presuppositional Apologetic Critique: Part 1 and Part 2. Brian Renshaw on “The Liturgy of the iPhone” – especially convicting coming on the heels of the iPhone 6 release. Did I miss a great post from the month of September? Post a comment with the link so that we can all enjoy it! Next month’s Biblical Studies Blog Carnival (October 2014) will be hosted by Brian Renshaw on November 1. Be sure to stay tuned for another month of blogging greatness. Phil Long at Reading Acts is still looking for volunteers to host future Carnivals. This is my “emotional plea” for a few decent folks to step up and help continue this biblioblog tradition! If you’re interested and/or willing to be coerced, please contact Phil through his blog. 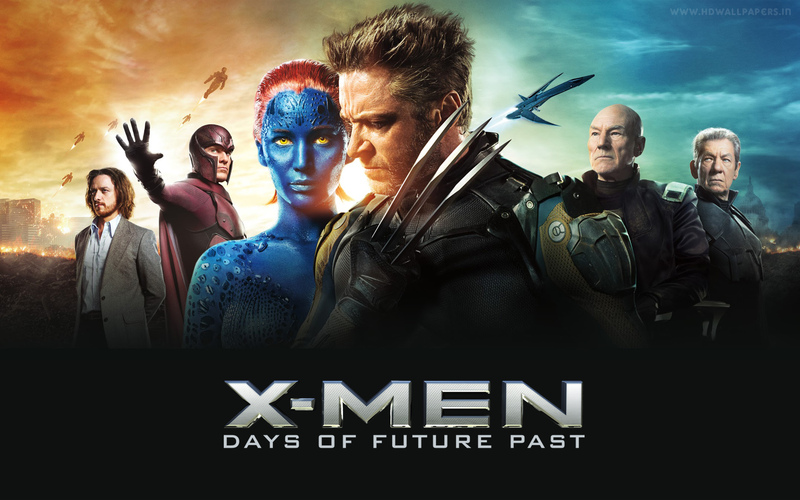 “X-Men: Days of Future Past” is an intellectually (and theologically) stimulating movie. One of the more interesting themes that runs throughout: the openness of the future. The movie opens with Xavier narrating the world of a bleak future and asking, “Are we destined down this path, destined to destroy ourselves like so many species before us? Or can we evolve fast enough to change ourselves, change our fate? Is the future truly set?” This is indeed an interesting question: is the future open or closed? This is also a theological conundrum which has been debated across two aisles: classical theism and open theism. Classical theism, relying on God’s immutability as well as his knowledge of the future, states that the future is, in some definite sense, closed. God has been there (the future) and has seen what must (or simply will) happen. On the contrary, open theism suggests that the future is, at least partially, open. God knows the future in terms of possibilities and our free will has the ability to genuinely impact the reality to be experienced in the future. The interaction between, and implications of, these differing theological options has intrigued me for years [see: Flight Anxiety and Divine Providence (A Comparison of Calvinism, Arminianism, and Open Theism]. What do you think: is the future open or closed? Can our decisions in the present make a genuine difference in the future? When God Spoke Greek… Did We Forget Who “God” Was? I find myself conflicted when it comes to the Septuagint. I’m sympathetic to recent arguments in favor of the Septuagint’s importance, particularly in light of the early Christian community [see Timothy Michael Law’s excellent book When God Spoke Greek: The Septuagint and the Making of the Hebrew Bible]. However, I don’t know what to make of the ways in which the LXX seemingly whitewashes some of the more robust (read: not-Hellenized) theological descriptions found in the Hebrew text of the Old Testament. Should Christian theological reflection take the Hebrew texts seriously? More seriously than the LXX texts?